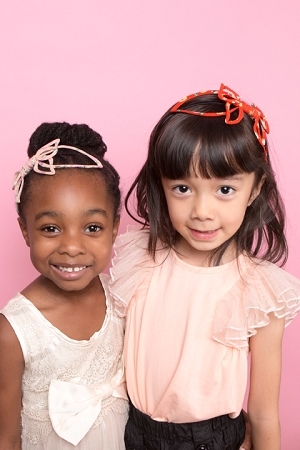 Reminiscent of childhood string patterns like Cat’s Cradle, Kayt is a fun and contemporary take on the classic headband. Colorful and lightweight, it’s the quintessential springtime accessory. Available in Blush, Tomato, and Black.